This classic book about loyalty, friendship and hard work is a marvelous read aloud for homeschoolers. 7Sisters Literature Activity Guide for Mike Mulligan and His Steam Shovel is a terrific guide for younger elementary students that teaches developmentally-appropriate phonics and comprehension skills. 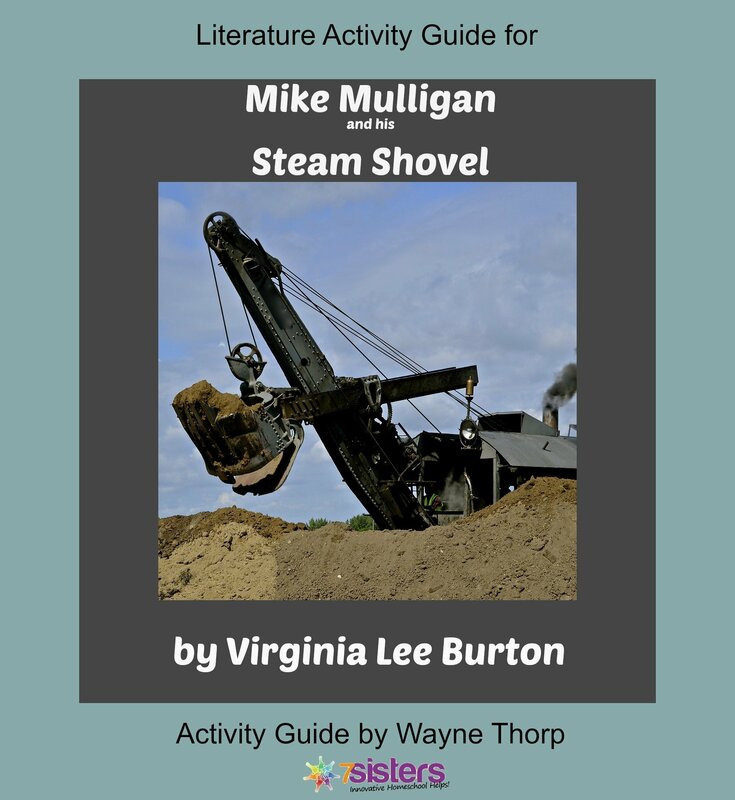 Elementary Literature Activity Guide for Mike Mulligan and His Steam Shovel is designed to teach and/or reinforce necessary skills for students who are in the process of learning to read. Each 7Sisters activity guide helps young readers practice individual skills while maintaining an appreciation of the literature. Good readers love reading! Synopsis: Mike Mulligan and his steam shovel are looking for work in the ‘modern’ world. He claims they can dig as much as a hundred men in a week. Now, in the town of Popperville, they may have to prove it.